Yoga Teacher, Tony Eason encourages San Francisco yoga students to use & learn from the vast yoga knowledge available in the San Francisco Bay Area. Also, Tony Eason encourages yoga practitioners to find the yoga teachers, yoga studios, and yoga classes that are BEST SUITED FOR YOU! 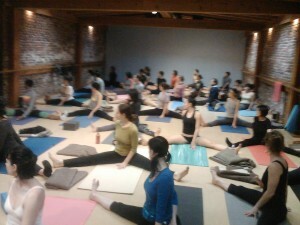 A Yoga Class Field Trip | City Hall, Pier 39, Ocean Beach, Golden Gate Park, San Francisco.